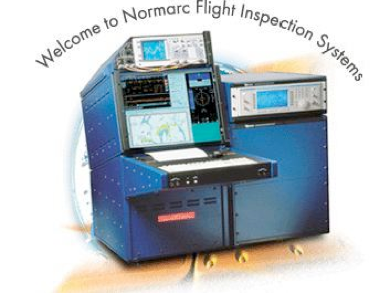 Normarc Flight Inspection Systems AS (NFIS) is a Norwegian company specializing in navigation, surveillance and instrumentation for the aviation industry. Our Normarc Flight Inspection Products (NFIS) products have been delivered to countries on every continent, to Civil and Military users.. The company's history goes back almost as long as flying it self. Guglielmo Marconi and Norwegian partners established Norsk Marconi Company in 1918. The company developed into a world-leading supplier of electronic equipment for Telecommunication and Navigation. The first Normarc Navaids Flight Inspection System (NFIS) was developed and delivered already in 1982. Today, NFIS holds a strong and visible position as a provider of breakthrough technologies for the aviation industry. The reason why is easily understood as we've pioneered satellite signal applications for positioning and motion measurement, we've pioneered fully automatic NFIS and even pioneered DGPS as NFIS position reference source. Over the years we've shown the aviation world continuing developments in position referencing and satellite signal processing. It's just the way it is when you're the benchmark of an entire industry. When you search for precision, reliability and effective operations, it's most likely NFIS you're looking for.